Strange for a genre all about beats, drummers in hiphop get ignored, unless their name’s Questlove. Anna Nathanson caught up with Plan B and Akala drummer Cassell to see what’s up. 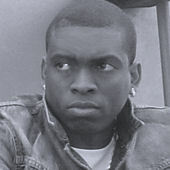 Currently touring and recording with both Plan B and Akala, Cassell Is well known for his incredible drumming skills. Having worked with people like Ty, The Roots, Rodney P, SkinnyMan and Estelle, he is well skooled in the art of hiphop. Here he gives a rare interview, exclusively to Rapnews. How did you get into drumming and what steps did you take to turn your dream into a reality? I got my first toy drum kit for Christmas at the age of five years old, and it only lasted ‘til the end of the day (laughs). I then played a proper drum kit for the first time at the age of 11, and then got my own kit at 16. From then I joined a band, which expanded and changed members and was later called Quite Sane. We won Capital Radio’s young band of the year and part of the prize was supporting James Brown. I did a lot of practicing at that age, almost every day in my best friend’s dad’s shed at the end of the garden. I then starting playing freelance and had the pleasure of performing with a lot of signed and unsigned artists, too many to mention. Drums became a big part of my life and I’ve been playing them ever since. Were there any obstacles along the way? Apart from practicing in a shed, which was either too hot or freezing cold, being broke, to not having anyway to practice. Things were ok I suppose! Was there a defining moment that shaped your career to lead you to where you are today? There was a series of steps, starting from being in my band Quite Sane, which was formed with two of my best friends. One went off to the States to become a big bass player and producer, the other is a top guitarist and songwriter current playing guitar for Daniel Beddingfield. I started playing drums for a hiphop event called The Apricot Jam and then some theatre productions, both headed by rapper Jonzi D. Through The Apricot Jam I met and played drums for a lot of hiphop artists such as Rodney P, Estelle, The Roots, SkinnyMan, and Ty, to name a few, as well as soul singers like Terri Walker. I did that for four years, and that’s the point where I learnt the most about touring and the music industry. I then started doing a lot of music productions, and released a track and music video called ’Sounds Like This’, with some of the artists I produce for. To bring you up to date, I played drums as a favour at Jade Richardson’s event ‘Live’, where I drummed for lot of signed and unsigned artists in the hiphop, grime and RnB scene. This is where I met and played drums for Plan B and Akala. I’m mainly producing, doing music workshops around the world and writing for TV with Bassistry Arts, as well as recording and touring with Plan B and Akala. What’s the reality of the music Industry? Looking at the industry from the outside, it looks all glossy, loads of fun. Parties, money and all that goes with it, but in reality, it’s a lot of hard work. False people, stress, home sickness, traveling and business. When it’s good it’s really good, but when it’s bad it can be a nightmare. What’s it like touring with Plan B and Akala? Are they like mates or is it strictly about work? Touring with Plan B and Akala is just like going out with your mates. You have ‘nuff fun and jokes, but you also end up in some deep discussions. When you tour, you’re more like a family and become a tight unit. What advice would you give to people wanting to be a drummer? My advice would be practice hard, be open to different styles of music, deal with business and have as much fun as possible. Check out Cassel at Thebeatmakers.com and Myspace. Cassel is waaayyyy too sick! Waaaaayyyyyyyyy too sik! Good interview cassell seems really down to earth. Saw him play with Akala & Plan B. He was amazing. Just have to say that Cassell is one of the most talented cats in the game, PERIOD! It’s been a while since we started working together and he always represented himself strong and sharp. It would be nice that he made it back to Barcelona to spread the knowledge once again. best hip hop drummer EVER. yes man, saw him at lemon grove with akala! was real good man nuff respect!